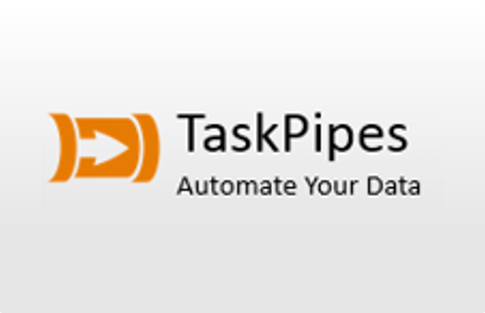 TaskPipes enables you to automate repetitive manual data processing and data extraction tasks. 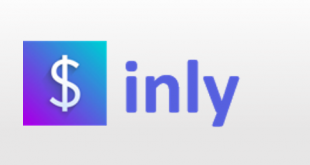 It is an online interface from a Startup based in London, founded by Fraser Atkins. Here you can create different pipes or processes for specific data related tasks. It allows you to get data from any source, whether it is an API endpoint, a CSV file, an email attachment, FTP folder or spreadsheet. You can filter the data, reformat it and make manipulations the way you want. This data can be exported to a range of locations like uploading to a server, generating a PDF report, inserting into a database, a CRM application or another API endpoint. You can execute a pipe anytime you want, it can also be scheduled or run by trigger mechanism. TaskPipes saves you a significant amount of time that is spent on boring, repetitive tasks of creating reports from raw data. Its user interface has been designed in such a way that even non-technical users can perform complex processes. 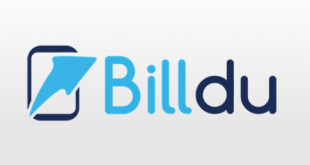 The public beta has been launched and is available for a free trial. The interface allows you to define new pipes on the basis of the input source and a series of steps you define. The input source could be an email attachment, a spreadsheet, an external API or any other CSV, zip or text file. A process can be defined by a series of steps. You can perform different types of manipulations on the source data like aggregating, sorting, or filtering in the form of individual steps. You can increase the complexity of manipulations performed on the data by adding a number of steps to bring it to a desired form. The system has been designed in such a way that even a non-technical person can easily carry out complex manipulations on data. You can easily see what the data looks like at every step. Users can run a process any time they want. They can also schedule them or trigger them to execute every time new data is encountered. The processed data can be exported to a number of target formats like Google spreadsheets, external APIs, databases or PDF reports sent via email. 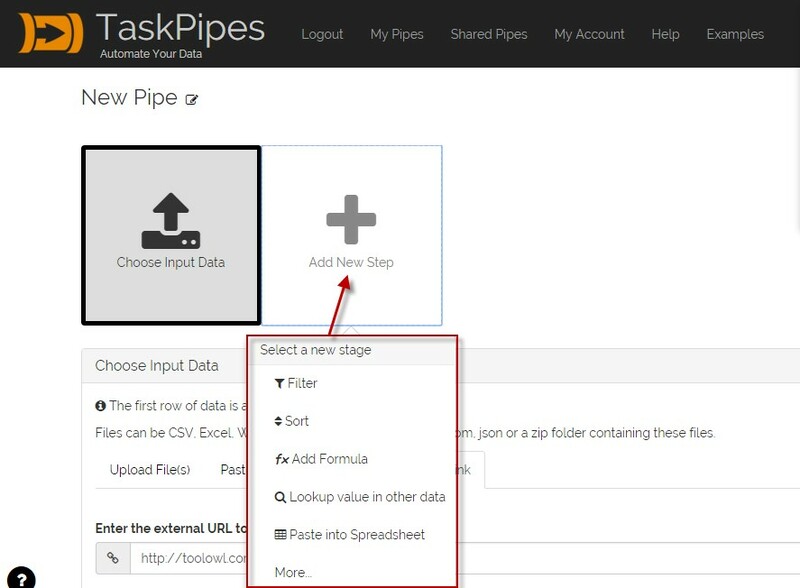 TaskPipes allows you to save the pipes for future use. You can easily view them in the ‘My Pipes’ section. TaskPipes ensures your data is kept secure. All the data is transferred over 128 bit encryption. The interface can be easily utilized by anyone once they understand the underlying concept. Data can be processed automatically. 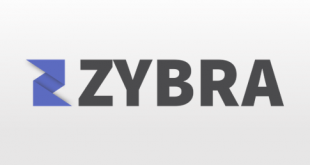 Provides industry-standard encryption of 128 bits. TaskPipes are less flexible as compared to Yahoo Pipes which allow you to specify source code to ensure correct data is selected. TaskPipes saves you from wasting your time in doing mundane repetitive activities. It uses some simple beginner friendly formulas and filters to manipulate data. Hence, it can easily be put to use by anyone. 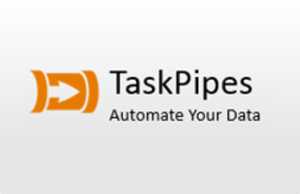 For more details, please visit: Taskpipes website.